Wear and travel with Anna: Giveaway Sheinside - Win a $50 voucher! 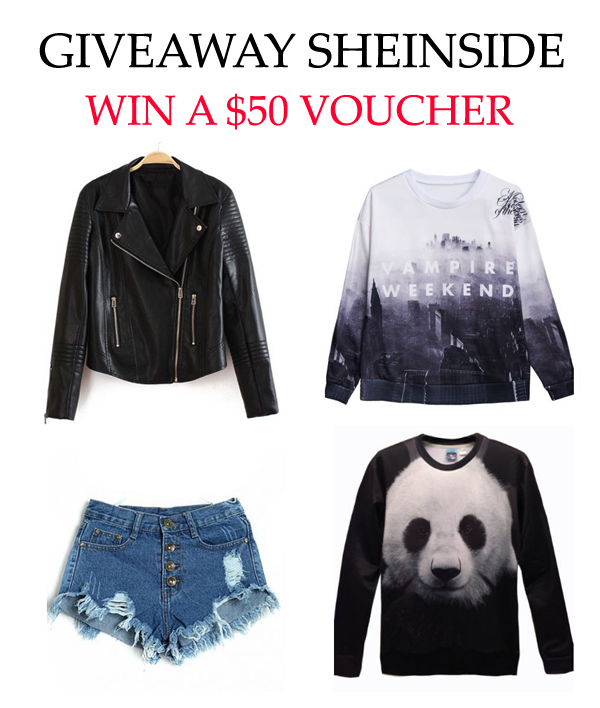 Giveaway Sheinside - Win a $50 voucher! such cute items giveaway Ania!! Great giveaway!...have a relaxing weekend doll! Amazing giveaway!! We did all steps!! I love the panda top, it is so amazing. I love this panda sweater! Thanks for visiting my blog and good luck with everything! Yes, tartan is totally rad. Love it! I love this givwaway! Hope to win!